Do your bit, Bring me back. Encourage your customers through this easy initiative to choose the right cup. Recognizing customers are the key to the success of recycling initiatives. We take the difficult decision out of it by providing a recyclable solution. 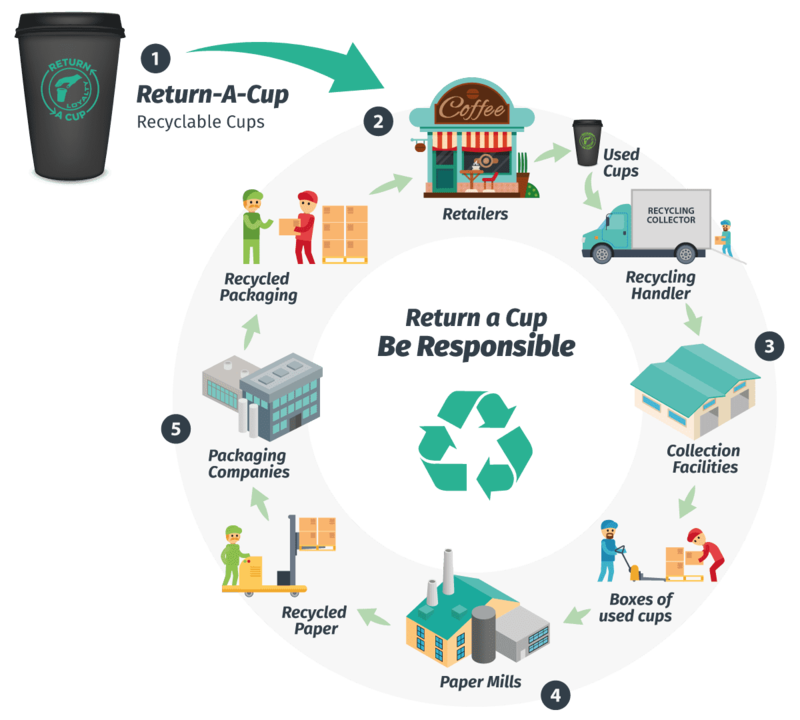 Not all paper cups are recyclable but our RETURN-A-CUP’s are. Cafes need to facilitate cup collection of approved cups.